1. People report different effects with CBD. For some people CBD gives extra mental clarity and a complete removal of anxiety. Other people report that it is great for helping sleep when taken in slightly higher amounts. Many MS patients say it has significantly improved their ability to cope with their symptoms. We hear from people with various medical issues who find CBD has reduced pain and/or made their medical conditions easier to cope with. 2. Breeding CBD varieties is more difficult than breeding traditional varieties. Analytical testing on the cannabinoids is required every step of the way during the breeding process. Selection of parents is done not just on the basis of yield, aroma, robustness and stability but also on the lab analysis done of the cannabinoid profile. Its seriously hard and slow work which is made more difficult by the ethical responsibility to ensure that the seeds we sell can be relied on by the medical growers. 3. CBD is used by a lot of people purely for the anti-anxiety effects. Although many people with physical medical conditions use CBD successfully for pain/inflammation, we have been surprised how many people say that CBD is the best anti-anxiety relief that they can find. Initially this was thought to be a pleasant bonus for a small percentage of CBD users, but it is now clear that this is one of the main cerebral effects. What makes this particularly surprising is that much of the CBD breeding work was done with the aim of aiding relief from physical conditions, yet we see a surprising number of people using CBD-rich cannabis just for the mental clarity, focus and anxiety relief which it brings. It is no coincidence that the Israelis and the USA both use CBD for post traumatic stress disorder (PTSD) e.g. in battle-scarred former military personnel. One clear finding is that CBD offers benefits for both the mind and the body. 5. 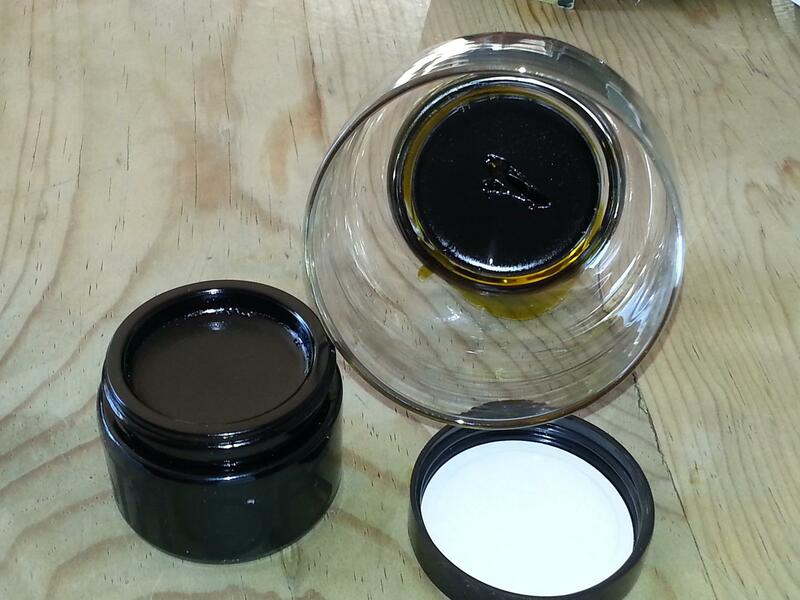 CBD takes the pain relieving properties of cannabis to a new level. For many people with physical problems CBD takes pain relief to a new level beyond traditional THC-rich varieties. In situations where THC does a good job of pain relief we find that CBD can do a fantastic job. Some CBD users will enjoy the effects of the CBD so much that they will refuse to smoke a THC rich variety for a few hours after they have had their CBD, this is to stop the effects of THC overwhelming the initial effects of the CBD. 6. You can get used to feeling and quantifying the CBD fairly quickly. Experienced CBD users can quickly get a feel for how much THC and CBD are in the plant which they are vaporizing/smoking. Varieties that are almost exclusively CBD, such as Charlottes Web, will not get you remotely high even if you smoke a lot, and even if you try some oil. The ‘Charlottes Web’ style of varieties are often 15%+ CBD with just 1% or less THC. The “1:1” varieties offer a 1:1 ratio of THC:CBD. If you try one of these 1:1 varieties you will notice a mental ‘tickle’ from the THC, but you may not get too ‘high’ from it unless you take quite a lot. The experienced CBD home-grower can even distinguish between different phenotypes of the CBD varieties, being able to sense which plants have more THC simply from the effect. Perhaps the strangest thing about smoking a CBD-rich variety (i.e. > 4% CBD) for the first time is that you sit there waiting for an initial THC-high which really never arrives. 7. THC is still as important as ever for medical growers. Despite the growing mainstream media interest in CBD it is clear that for many people THC still remains hugely important for medical users. Its important that people do not start assuming that CBD is the only medical aspect of cannabis. For some people and for some applications THC is important either on its own or in a 1:1 ratio with CBD. 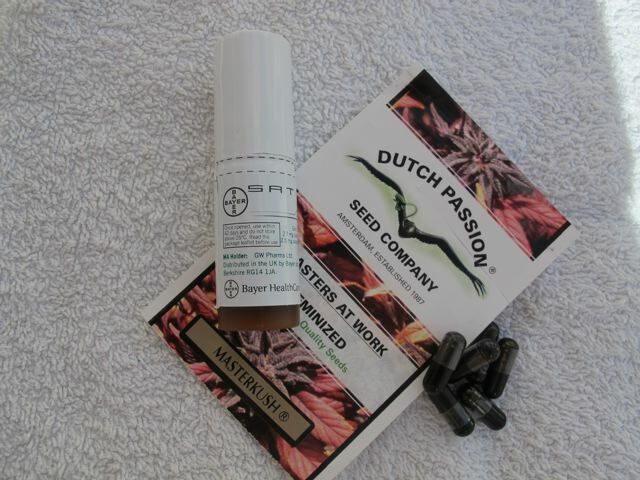 Dutch Passion’s involvement in CBD has been a voyage of discovery. Initially we didn’t know exactly what the benefits would be for medical growers, nor did we anticipate how significant those benefits would be. Many medical marijuana users are prepared to speak to the doctor about the use of pot and we would encourage that. Often doctors will be sympathetic about the use of cannabis. We do not advise anyone to give up their traditional medical treatment in favour of pot, the preferred approach is dialogue between doctor and patient. Doctors are becoming more knowledgeable about cannabis and there are an increasing number of formal studies into the properties of cannabis. CBD-rich pot is now firmly established as a new member of the Cannabis family alongside auto flowering varieties and traditional varieties. 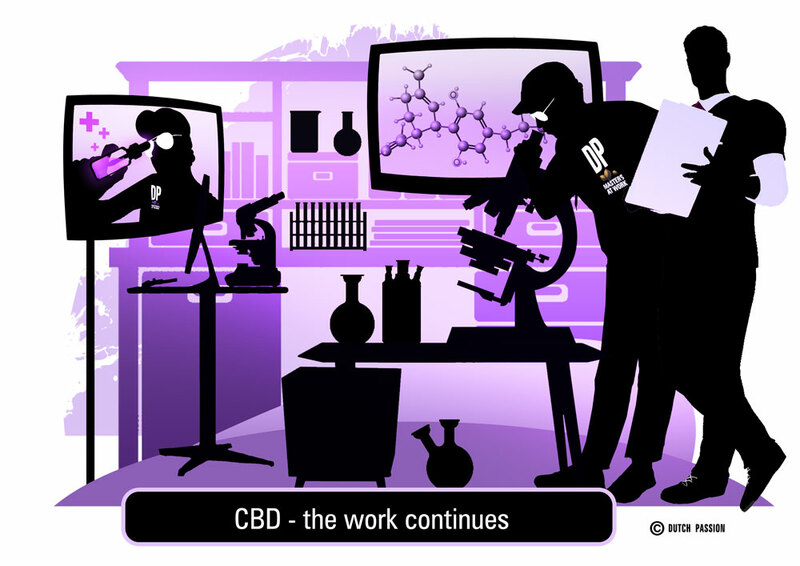 And in the meantime we are working hard behind the scenes to see how other cannabinoids can be selectively increased and what benefits they will bring. We have a feeling that this is an area in which we will be very busy in years to come. "We see a surprising number of people using CBD-rich cannabis just for the mental clarity, focus and anxiety relief which it brings." Sounds like a possibly HEALTHIER competitor for nicotine and caffeine. Consider that H-or B-urning O-verdose M-onoxide $igarette $moking has caused 200,000,000 premature deaths since 1853, and possibly 15,000,000 more kids get hooked on $igarettes every year worldwide, this is big news. What if CBD-rich cannabis could SUBSTITUTE for tobacco, along with VAPORIZERS and flexible-drawtube one-hitters (25-mg single toke) SUBSTITUTING for the disastrous 700-mg commercial paper-roll $igarette format? Certain monoterpenoids, including myrcene, are reported to have helped some $mokers by relieving NICOTINE CRAVING. Get busy and develop strains which combine Appropriate Terpenes with CBD and other factors, eliminating $igarette addiction from the planet, and win a Knowitwell Prize for Meddlesome Medicine! Sometimes I think you guys at Dutch passion and other breeders like Scott Blakey at Mr nice and CBd crew are the real heroes in this scary world and you deserve more credit ! All the best guys!! Will Dutch Passion develop a high CBD autoflower any time soon?